Madrid is a great travel destination, ideal for short weekend break or longer holiday. In this article we will focus on major sites and monuments of Madrid to visit, ideal guide for anyone who is traveling for the first time in the Spanish city. Of course, if you’re lucky enough to go several times in Madrid, you can treat yourself to visit lesser-known sites. Final point: Madrid is well suited for any type of vacation. There are in fact not only museums and historical sites, but it is a city full of nightlife and clubs, so even the youngest visitors will find entertainment suitable for all their needs. It starts at the Prado Museum, one of the greatest museums in the world: here you will find works by Goya, Velazquez, Raphael and Caravaggio, but that eye is always very crowded. Another museum that you can not miss is the Reina Sofia Museum, dedicated to those who love modern and contemporary art as it brings together works from the early years of the twentieth century to today. If you look for works by Picasso, Dali and Miro have to come here. And remember to go see Guernica. Still on the subject of museums, remember Thyssen-Bornemisza Museum: the pictures you will find here are part of the private collection of the German steel magnate Thyssen-Bornemisza, you can choose between the paintings of Van Eyck, Caravaggio, Van Gogh, and Gauguin Hopper. 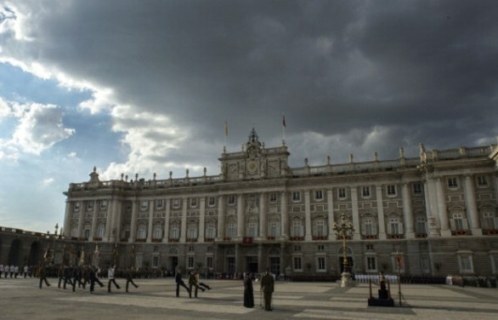 We could not report the Royal Palace of Madrid: If possible, try to get there when there are the King and Queen of Spain, otherwise the building is closed. Otherwise, take the time to visit the Palace built on the ruins of the Alcazar. If you decide to go here, also have some shots of the Plaza de Oriente, is one of the most beautiful in the city. If you love the parks, then you must go to Parque del Buen Retiro in Madrid: at the center of the park remember to photograph the monument to King Alfonso XII. Here you can stroll, listen to the music groups that perform here often, hire a boat for a ride on the artificial lake in the Parque del Buen Retiro, and hope that there is good weather because in this case you might even bump into jugglers. If you wish to dedicate the nightlife, then remember to go in the Huertas district, in the Plaza de Santa Ana: here you will find bars, clubs and many local restaurants. Also interesting is the flea market El Rastro in La Latina neighborhood.